Show off all your snow loving little ones with one of these Personalized T-Shirts. 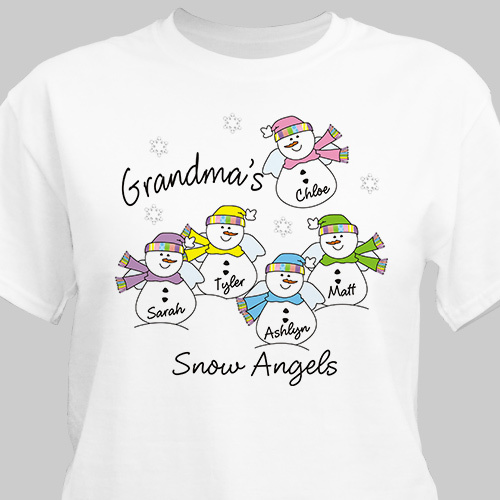 The Snow Angels Personalized Shirt is printed on our 100% Cotton machine washable white shirt available in adult sizes S-3XL. Includes FREE Personalization! Personalized with any title and up to 30 Names. It is a gift for my mom. Her birthday is at the end of March and won't be given to her until then.